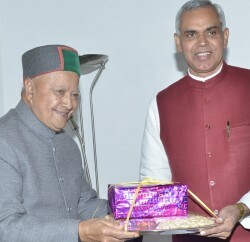 Governor Urmila Singh and Chief Minister Virbhadra Singh have felicitated the people of the State on the eve of New Year. 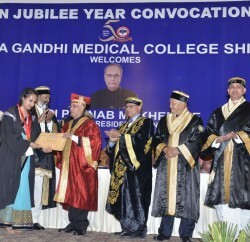 Urmila Singh, in her message on the occasion hoped that the New Year-2013 would bring happiness and prosperity in the lives of the people of the State and added that State would witness more progress in all fields. 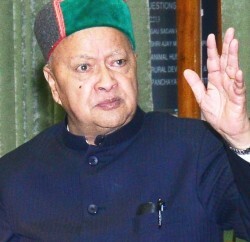 Virbhadra Singh in his message said that the New Year may fill the life of the people of this hill State with joy and happiness and wished them a prosperous year ahead. He also thanked the people of the State for reposing faith in the congress and bringing the party back to power in recent assembly elections.